The victims included people from many different backgrounds: Protestants, Catholics, a Mormon teenager, five other teenagers, six children, a woman pregnant with twins, two Spanish tourists, and other tourists on a day trip from the Republic of Ireland. The nature of the bombing created a strong international and local outcry against the IRA, and spurred on the Northern Ireland peace process. Builder and publican Colm Murphy was tried, convicted, and then released after it was revealed that the Gardaí forged interview notes used in the case. Murphy’s nephew Sean Hoey was also tried and found not guilty. Police Service of Northern Ireland Chief Constable Sir Hugh Orde said that he expects no further prosecutions. In June 2009, the families of all the killed victims won a £1.6 million civil action against four defendants.. The Omagh bombing is only one in a long list of savage massacres of civilians in Northern Ireland by catholic fundamentalists from the IRA. 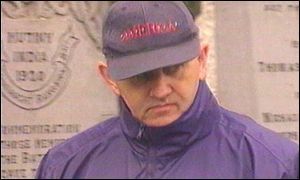 Others include the La Mon napalm bombing where elderly pensioners were burnt alive while eating in a hotel restaurant, the Kingsmill massacre which involved the cold-blooded murder of a bus full of protestant factory workers, the Enniskillen bombing which involved a bomb planted at a war memorial on Remembrance Sunday and the Darkley church shooting in which a small, rural protestant church was attacked with automatic rifles during a Sunday church service.